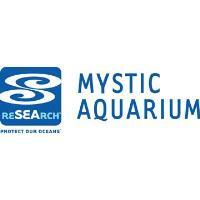 Mystic, CT – Mystic Aquarium has announced the promotion of Dr. Allison D. Tuttle to Senior Vice President of Animal Care. Dr. Tuttle has served in a variety of roles at the Aquarium including as Chief Veterinarian and most recently as Vice President of Biological Programs. In her new role as Senior Vice President, Dr. Tuttle will assume lead responsibility for all aspects of animal husbandry, veterinary medicine, water quality and dive safety. She will also have responsibility for assisting in setting the strategic priorities and direction for the organization’s animal community. In her role, Dr. Tuttle contributes to a number of research and grant initiatives and serves as a mentor for veterinary interns, veterinary student externs and undergraduate students. She teaches in the specialty veterinary courses, Aquavet and Marvet, and is adjunct faculty at North Carolina State University College of Veterinary Medicine as well as an Associate Clinical Professor at Cummings School of Veterinary Medicine at Tufts University. Her affiliations include the International Association for Aquatic Animal Medicine (IAAAM), where she serves as the Board Member for Education; the American Association of Zoo Veterinarians (AAZV); Journal of Zoo and Wildlife Medicine (JZWM) where she is an Associate Editor; and the Association of Zoos and Aquariums (AZA). Within AZA, Dr. Tuttle sits on the Ethics Board, Aquarium Affairs Committee, Honors and Awards Committee, Animal Health Committee and serves as an accreditation inspector. Dr. Tuttle earned her BS in Biology and Psychology from Washington College and her DVM from North Carolina State University. She completed Mystic Aquarium’s Veterinary Internship in Aquatic Animal Medicine and Research and also completed a Residency in Zoological Medicine with a focus on Aquatic Health Management at North Carolina State University. Dr. Tuttle is a Diplomate of the American College of Zoological Medicine, a board-certified specialist in zoological and aquatic animal medicine.